For hundreds of years, the sound of the Great Highland Bagpipe has been heard throughout the hills and valleys of Scotland and Ireland, serving as an instrument of war, of celebration and rememberance. 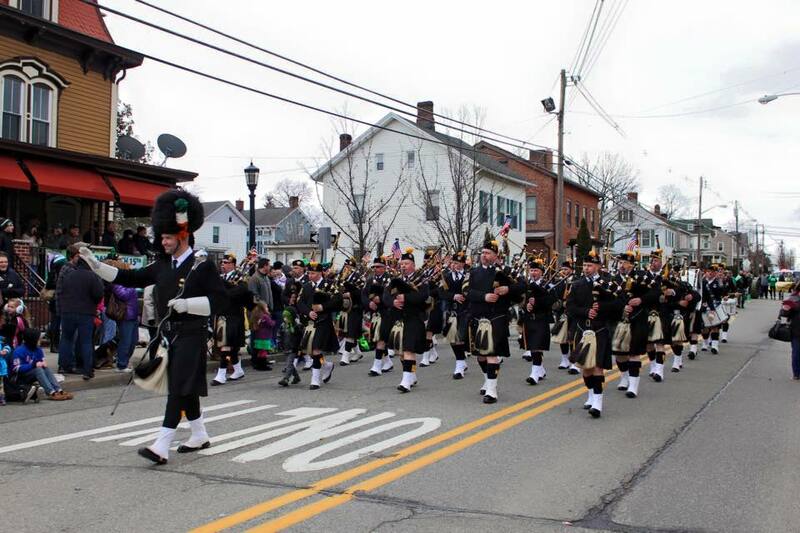 This tradition was brought to the United States with the immigrant sons from those countries who found work as Police Officers and Fireman and is continued today with the men and women of the Police Pipes and Drums of Morris County. In 1997, it was decided that Morris County needed it's own band and a small group of dedicated officers began the process of forming what has become the Police Pipes & Drums of Morris County under the direction of SFC Joe Keely Sr. Now with a membership of nearly 40 active members and a strong core of students learning the craft, this band serves as a magnificent representative of the Morris County Fire and Police communities and proudly plays at events all over the country. Made up entirely of volunteers, the members of this band are all working Police Officers and Firemen who spend a great deal of their own time and money to ensure that our brothers and sisters are properly served during times of celebration and sorrow. Due to this dedication, the proud tradition will continue in Morris County. You are invited to explore this site to learn more about the dedicated men and women who make up your Police Pipes and Drums. THANK YOU FOR MAKING OUR BEEFSTEAK DINNER A HUGE SUCCESS!! The Annual PPDMC Beefsteak Dinner was a Saturday, November 22nd. The PPDMC want to thank all our friends and family as well as the many pipers and drummers who support us every year. Click on the flyer below to see the introduction video from this year. We are currently recruiting new members who wish to contribute to the Police Pipes & Drums of Morris County. Have you ever thought of playing the bagpipes or becoming a drummer? If so, this may be the perfect time to learn. Find out more in our New Members Section by clicking the button below. Want to see the band in action? Click here to see our upcoming events. 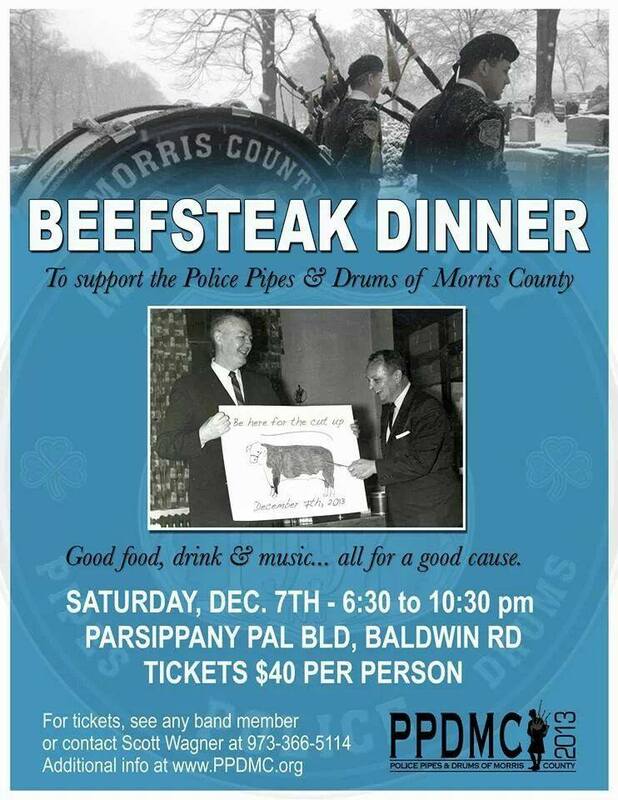 Copyright 2006 - Police Pipes & Drums of Morris County.